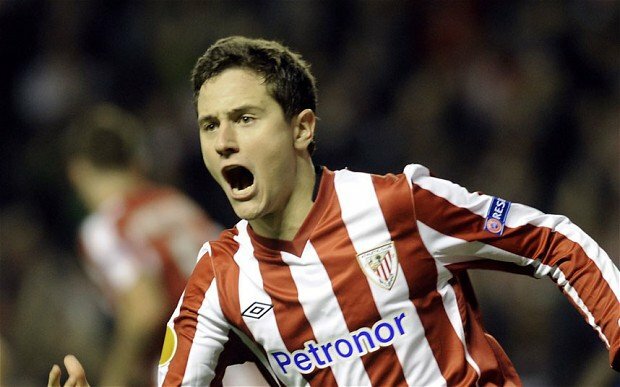 Manchester United have announced the signing of Spanish Midfielder Ander Herrera for a reported £29 million from La Liga side Athletic Bilbao. The player had been on the Old Trafford radar for three years and after having bids rejected for him last summer, United have finally got their man. “Signing for Manchester United is a dream come true. “I have joined United to do all I can to help the team reach the club’s objectives. Herrera also praised his former teammates and wished them luck in their future endeavours. Capable of playing as a number 10 and in a deeper role, Herrera has been purchased to provide answers to United’s midfield problems. Herrera will be expected to slot in alongside Michael Carrick or Marouane Fellaini or even sit at the base of midfield and control the game. The midfielder has attracted praise for his passing ability and put in a string of fine displays in the second half of last season for Bilbao. The midfielder was instrumental in helping Bilbao gain Champions League qualification as the Basque side pipped Sevilla and Villareal to fourth spot in La Liga. Herrera was a key target for ex-United boss David Moyes who believed the player could become a key cog in United’s midfield. However after David Moyes’ sacking due to United’s disastrous season, the move was rumoured to have shut down. This has not proven to be the case as new manager Louis Van Gaal has also been impressed by Herrera and is believed to have given his blessing for the move to go ahead. Do you believe Herrera could solve United’s midfield problems? Could be a great signing for United, needs to be tried and tested first in the Premier League!